Thomas L. Read: New YRM Composer! Yelton Rhodes Music would like to officially welcome Thomas L. Read to our family of talented composers! Thomas, a violinist as well as a composer, is a Professor of Music at the University of Vermont. He has composed music for a variety of media and almost entirely on commission- music for small ensembles, full orchestra, solo voice, chorus and musical theater. We’re delighted to publish three of Thomas’ choral works, all of which are a cappella. His music is strongly lyrical and expressive. The texts he selected to set musically are highly passionate writings by two American poets of the romantic period, Henry Wadsworth Longfellow and Herman Melville. To learn more about Thomas L. Read, click here. View the first two pages of score as a PDF by clicking here. View the first 6 pages of score as a PDF by clicking here. View the first 2 pages of score as a PDF by clicking here. When you think of a mahogany tree, you might predictably imagine a mighty trunk with leafy branches above, right? And although one may not suspect that this piece is holiday-themed… it is! With lyrics by William Makepeace Thackeray (1811-1863), Helmuth’s The Mahogany Tree, for TTBB and piano, is a boisterous, joyful depiction of a group of men gathered around the table as they sing, drink and toast to each other and to the Christmas season. Perched round the stem of the jolly old tree. One particularly special aspect of this piece is Eric’s energetic and brilliant piano accompaniment. To view the first four pages of the score, click here. It’s been nearly 9 years since the murder of Matthew Shepard in October of 1998, and his death still remains a significant reminder of the horrible outcome that hate, ignorance and fear can generate. Singer/songwriter Randi Driscoll composed what matters as a tribute to Matthew. 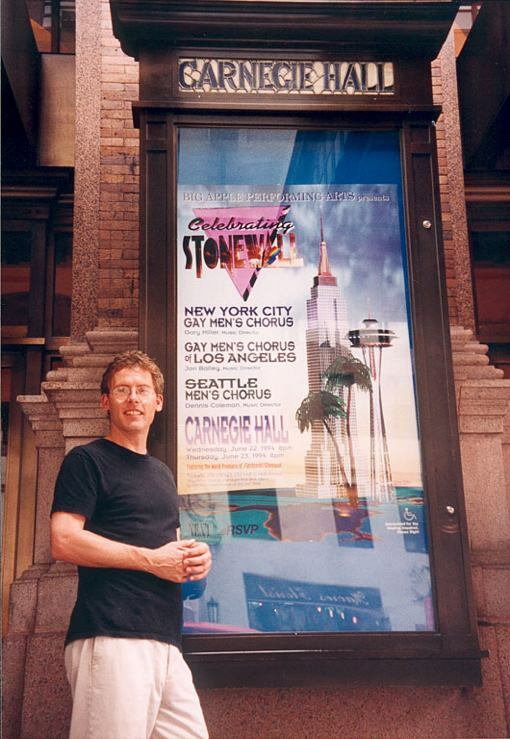 It was featured in the NBC motion picture The Matthew Shepard Story. When I first heard the tragic story of Matthew Shepard’s death, I was saddened and outraged. I wanted to kick in my television set, scream and cry. Instead, I went to my piano to find solace in my music. What transpired was the song what matters. The song honors Matthew’s life, his family and the unconditional love they represent… I have spent years touring to promote the single and raise awareness by performing the song at clubs, benefit concerts, vigils and Pride Festivals. This work and this song are the most important things I have ever done in my life. I am continuously inspired by the angels around us that do so much to see that this type of hatred and ignorance is stopped. Composer Kevin Robison was contacted by Driscoll to arrange the song for chorus and piano, and Yelton Rhodes Music is honored to publish these choral arrangements. Proceeds from the sale of this piece are donated to The Matthew Shephard Foundation to support their crucial work. what matters is available in three voicings: men’s chorus, mixed chorus and women’s chorus. Click on the links to view the first four pages as a PDF.